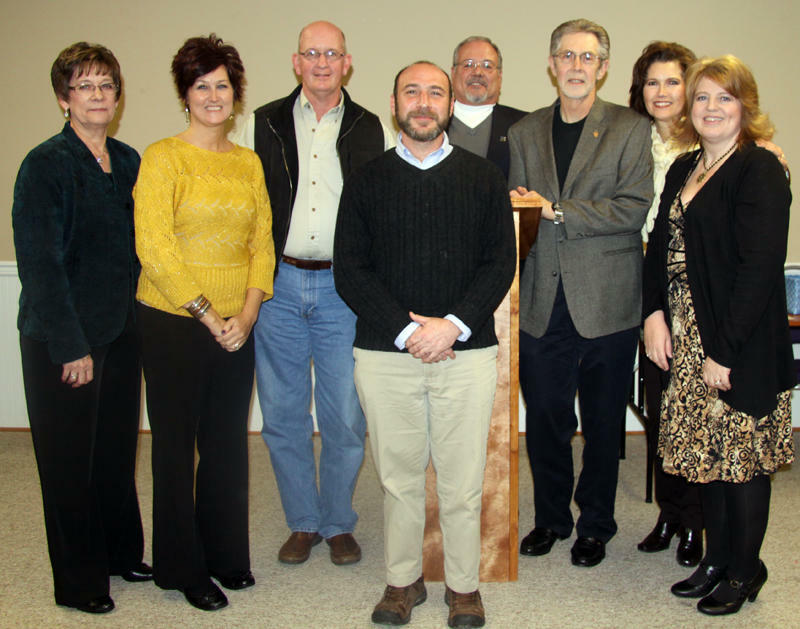 New officers and board members for 2012 were introduced during the Cannon County Chamber of Commerce annual banquet Tuesday (Jan. 24). Neal Appelbaum will serve as Chamber President. Ron Fryar was named Vice-President, and Tarron Johnson was introduced as treasurer. 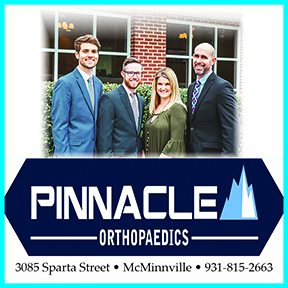 New members include Debbie Vaughn, John Barker, Connie Rigsby and Keith Ready. The retiring officers and board also were recognized. They were Doug Combs, Mindy Gunter, Mike Vaughn and Jacque Head. Save A Lot - Jim Myers was recognized as a new business member. Billy Kaufman with the Short Mountain Distillery was the guest speaker and informed those in attendance of the distillery operation on Short Mountain and answered audience questions. Above from left are Joann Tate, Johnson, Barker, Appelbaum, Fryar, Glenn Steakley, Vaughn and Rigsby.